Product prices and availability are accurate as of 2019-04-06 14:39:50 EDT and are subject to change. Any price and availability information displayed on http://www.amazon.com/ at the time of purchase will apply to the purchase of this product. 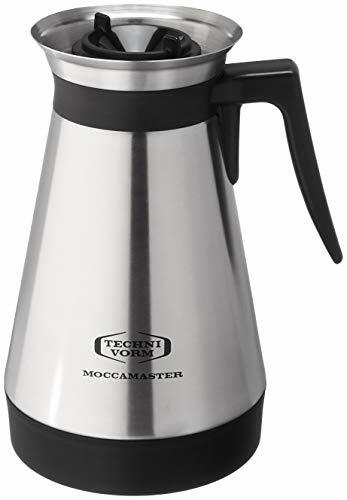 Technivorm Thermal Carafe for KBT, KBGT, CDGT BrewersIf you are in need of a replacement or second coffee carafe for your Technivorm Moccamaster thermal brewer, this genuine part will meet your needs. Having a second (or third) carafe is very useful when house guests visit, as these each include a lid to close the thermos for serving. The stay cool bottom can be placed on any surface.Proper care includes hand washing and avoiding hard drops. Not dishwasher safe. 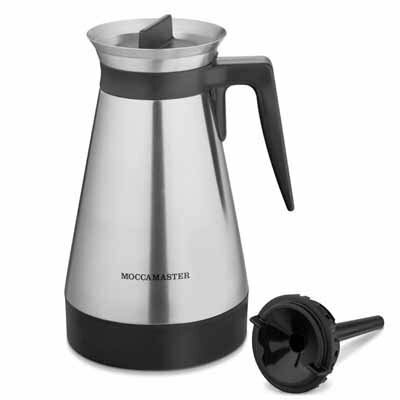 Always pre-heat the thermal carafe for best keep-hot results. Includes Travel Lid and Brew Thru Lid. Made in Amerongen, The Netherlands. 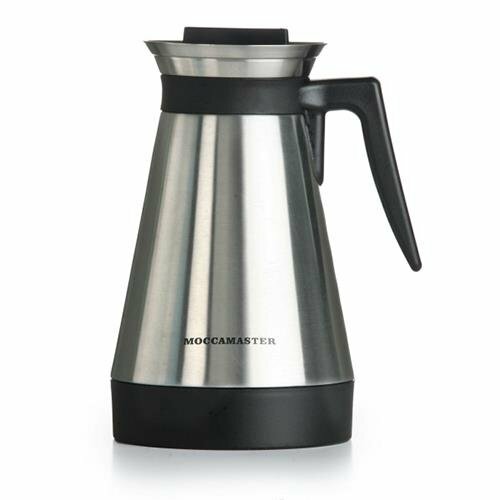 Technivorm Moccamaster item number 59861.